Today I made something heavenly. It was hot, it was salty, it had protein, it had a single carb per serving, it made me feel warm and toasty, and really, really full. 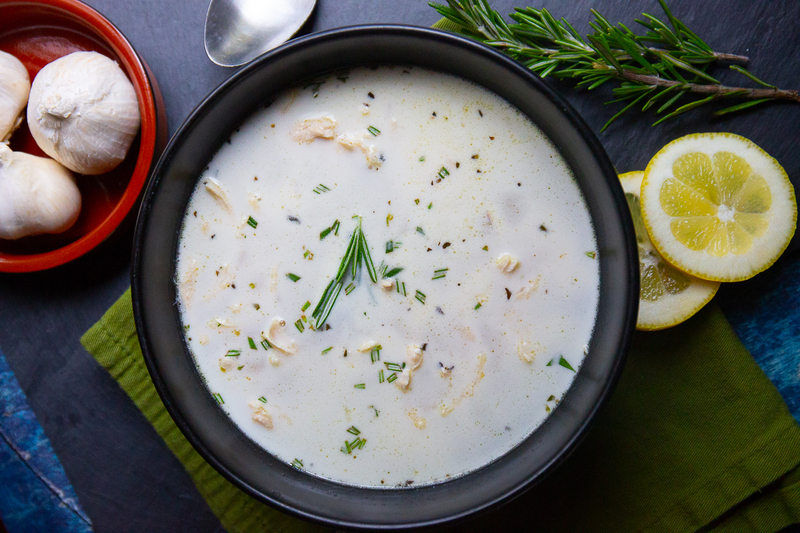 Enjoy this tasty, brothy, Parmesan-based keto chicken soup recipe with a touch of Chardonnay and no noodles. 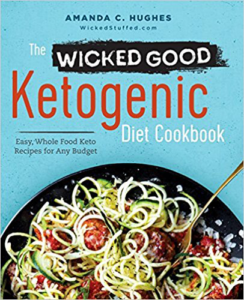 If I dare say so, it’s the best keto chicken soup recipe out there! The parmesan and chopped fresh rosemary really add that extra special something. Slurp it out of a big mug or bowl, but no matter what your vessel, I hope you enjoy it as much as I do. I take little credit for the recipe as a whole, as it was adapted from a chicken soup recipe I got from Fox Run Vineyard a couple weekends ago, who adapted it from Paula Deen. I basically keto-ized it and it’s now a glorious treat! Add the chicken breast, broth, diced onion, Italian seasoning, sliced lemon, minced garlic, bay leaves, and chicken bouillon cubes to a large soup pot. Cook the chicken in the mixture until the chicken is fully cooked and reaches 180 degrees (about 30-45 minutes). Take the chicken out of the water, wait until it cools, and shred it / pull it apart with a fork. Meanwhile, strain the broth through a colander into a large bowl and throw away the solids and pour the broth back into the pot. Put the parmesan cheese, cream, chardonnay, chopped fresh parsley and rosemary, and salt and pepper into a bowl and combine. Add the parmesan mixture to the broth in the pot, mix and cook for 10 minutes on low. Then add the shredded chicken to the pot and cook for an additional 5 minutes. 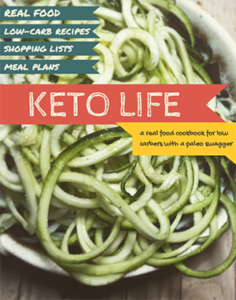 Enjoy this tasty, brothy, Parmesan-based keto chicken soup recipe with a touch of Chardonnay and no noodles. Cook the chicken in the mixture until the chicken is fully cooked and reaches 180 degrees (about 30-45 minutes). Take the chicken out of the water, wait until it cools, and shred it / pull it apart with a fork. Can’t get enough soup? Be sure to try my Zero-Carb Egg Drop Soup Recipe next. I’m glad you liked it! I’m obsessed with this soup. I’m going to attempt a keto clam chowder soon! @Adrianna Muse … I think you’ll do better by calling it “chowda”. 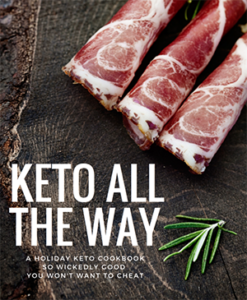 It’ll put you in that cold New England evening with the fireplace going, snow falling outside, a pantry full of the good stuff that you can experiment with in your Keto journey. Share when you’re done, please! Can you freeze this, or does the cream do weird things? OMG this really is one of the best soups I’ve ever had! I’ve been down with a cold the last couple of days and this is just the ticket, it really seems to be helping and is soooo delicious! I scaled this down to two servings without any issue but I too am wondering if I can make the full recipe and freeze it. Would that work? This soup is really something I would love to have at hand in my freezer, it ticks all the boxes. At first I thought the quantity of water was rather large but I love that this is a “thin” soup… feels more nourishing somehow, and I think substantial fluid intake always helps get over colds quicker. Thank you for this! I altered it only slightly ( I didn’t have wine) and the flavor of this recipe was just AMAZING! I changed the recipe because my chicken was already cooked. I used Better Than Bullion and added vegetables. The flavor is amazing. Even my husband liked it! Where do you get your nutritional information from? My calculations are 6 net carbs per serving. I typically use the nutrition facts on the products I’m using. 6 is too high, the only item that has substantial carbs is the onion, which is 10 total not per serving. I wonder if you’re calculating a heavy cream that has carbs vs most that have 0, or something like that?